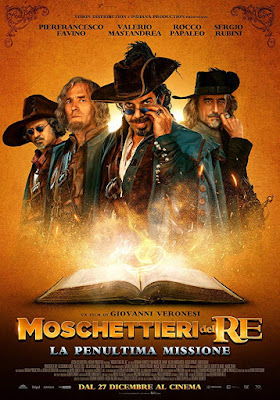 Your treat for today is the trailer for Italian historical adventure THE KING'S MUSKETEERS: THE PENULTIMATE MISSION which hits their cinemas December 27th! 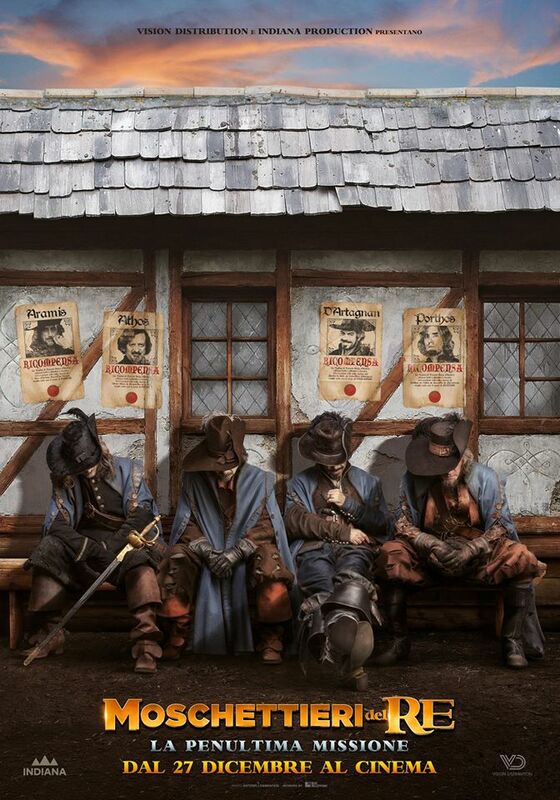 The Musketeers are not in the best of shapes! 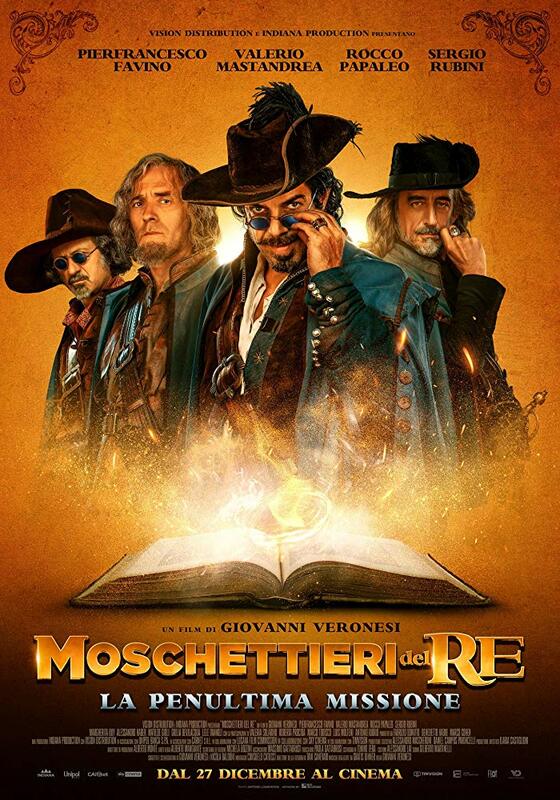 Queen Anna (Margherita Buy) to save France from the intrigues weaved at the court by the treacherous Cardinal Mazzarino (Alessandro Haber), and his conspirator Milady (Giulia Bevilacqua)! Supported in their exploits by mute Servo (Lele Vannoli) and exuberant Ancella (Matilde Gioli), the four - riding their more or less faithful steeds - will fight for the freedom of the persecuted Huguenots and for the salvation of the very young and and dissolute Louis XIV (Marco Todisco).They will certainly try their best to complete another incredible mission even if it is hard to say whether it will be their ultimate or maybe penultimate one.